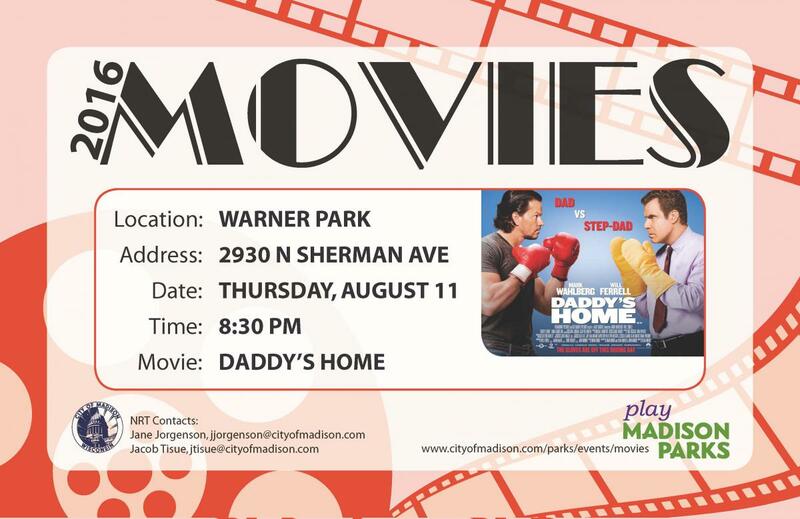 Bring a blanket or lawn chair and enjoy a free showing of this classic movie! UPDATE as of 1:30pm 08/11/16: Due to inclement weather, the showing of Daddy's Home will be in the WPCRC gym. Please note, no food or drinks are allowed in the gym.